An external school notice board with a silver anodised aluminium frame and choice of 3 interior finishes - correx (for use with blutack and tape), magnetic and pinnable. The pinnable interior is available in red, grey, blue and green. 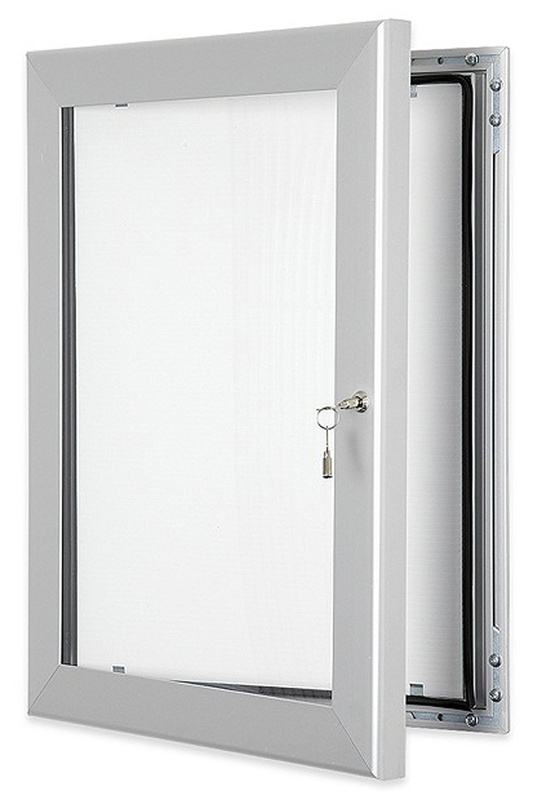 This notice board can be used outdoors as it has tough plastic glazing in the door, a waterproof seal and is completely weatherproof. It comes in a choice of 6 sizes and can be mounted in either landscape or portrait orientation. Please note: Please read specifications and sizing carefully prior to ordering. All other pinnable interior colour finishes and magnetic finishes are made to order in the UK to your specification and options chosen and therefore cannot be returned unless faulty.